EagleSpeak: "The dictators are back"
A West that prefers debt-subsidized welfarism over economic growth will not offer much in the way of an attractive model for countries in a hurry to modernize. A West that consistently sacrifices efficiency on the altars of regulation, litigation and political consensus will lose the dynamism that makes the risks inherent in free societies seem worthwhile. A West that shrinks from maintaining global order because doing so is difficult or discomfiting will invite challenges from nimble adversaries willing to take geopolitical gambles. Montagu and Darling wrote: "Mussolini may have done many brutal and tyrannical things; he may have destroyed human freedom in Italy; he may have murdered and tortured citizens whose only crime was to oppose Mussolini; but 'one had to admit' one thing about the Dictator: he 'made the trains run on time.'" So, I guess it depends on how you like your goods delivered. Generally, though, dictatorship ends badly. I prefer the messy republican capitalist way. More freedom, less murder and torture. You can get a pdf copy of Huntington's "The Third Wave" here. 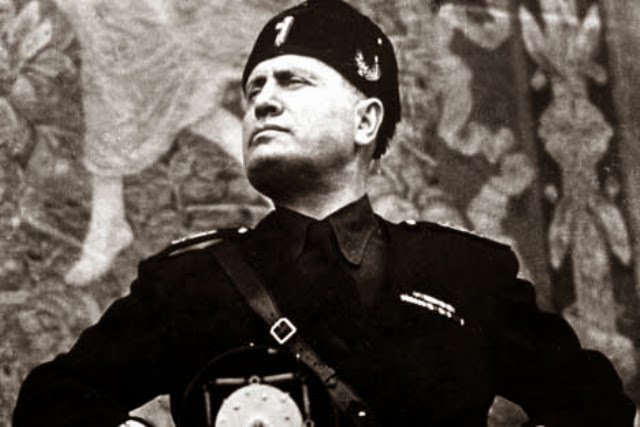 In a bar in Italy, a shipmate made the statement that Mussolini had made the trains run on time. The bartender, who had lived under Mussolini turned around and stated that the trains in Italy had never run on time. Disaster Prep Wednesday: "Heat Emergencies"